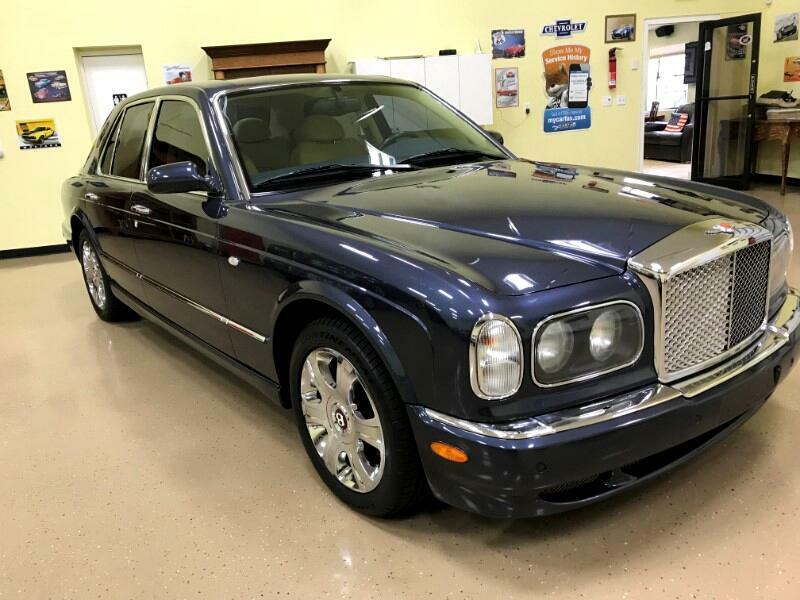 2001 BENTLEY ARNAGE RED LABLE METALLIC BLUE WITH CREAM LEATHER INTERIOR.IT IS POWERED BY A 6.8 LITER V8 TURBO MOTOR WITH A 4 SPEED AUTOMATIC TRANSMISSION.IT COMES WITH 18" ALLOY RIMS,FRONT AIRCONDITIONING,DUAL ZONE AUTOMATIC,HEATED SEATS,HEATED MIRRORS,PARKING ASSIST. THE CAR HAS ONLY DONE 18245 MILES AND DRIVES WELL.IT IS ALSO IN SOUND MECHANICAL CONDITION. FOR MORE PARTICULARS AND INFO ON THE CAR YOU CAN CALL DENNIS 5612713305. Message: Thought you might be interested in this 2001 Bentley Arnage.